The Chrome Kings Playing Card Project has long been a dream of underground playing card legend, De'vo vom Schattenreich. 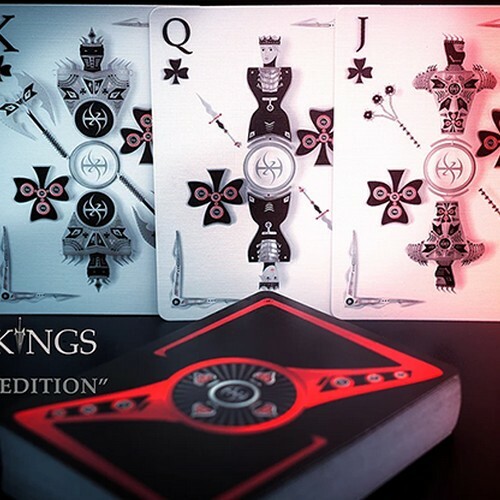 As a world-renowned card expert, producer, and art director, De'vo has produced 30 of the world's finest playing cards. De'vo's playing cards have appeared on television, including Stan Lee's Super Humans television show! 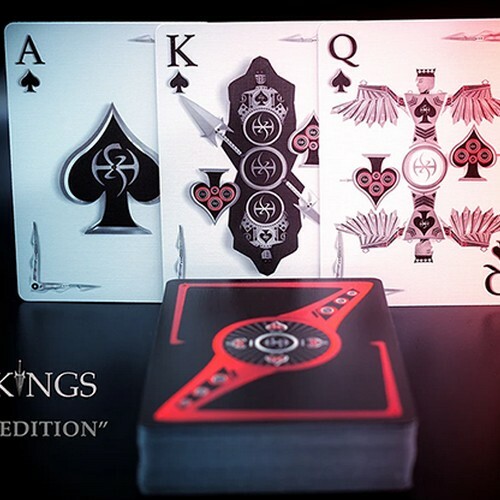 De'vo's cards are in the homes of celebrities and Hollywood superstars and used by magicians, card players, and card artists around the world. Some of his decks sell out just minutes after release. 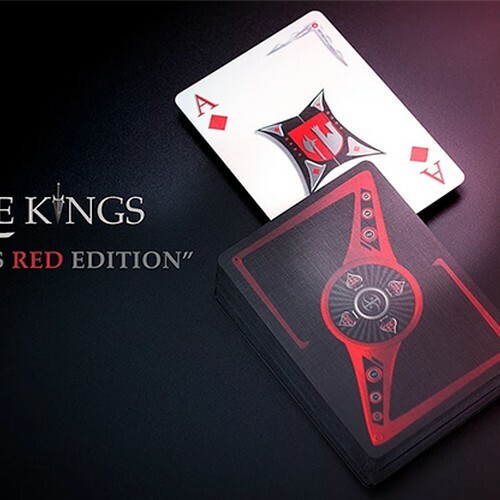 Several years ago, De'vo had an idea to create a complete deck of playing cards in complete 3D environments and wanted to create this on his own, without help from any other artists. De'vo began the long journey and, finally, his very first work of art is complete! Each and every court card is its own fully detailed 3D model that was built from scratch, then textured, lit and photographed for each card. The photographs taken of each model are then printed on playing cards by the USPCC - Made in USA! 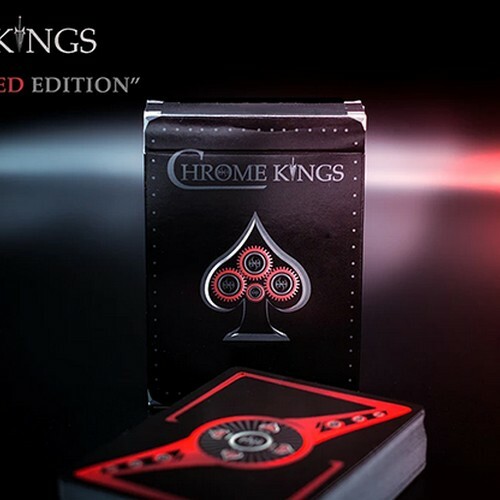 CHROME KINGS PLAYERS EDITION - Designed for those who like to play games with playing cards, this amazing deck features face cards that are captured in traditional playing card design fashion for use in poker, magic, and card manipulation. The back design uses De'vo's signature twin-tip mirror-back design concept with an amazing back designed for manipulation. The backs and faces will make different fans depending on which way you fan them. Each court card is completely different and was created in 3D with unbelievable details! There are two different Jokers (big and little) as well as a blank card and a color-changing double-backer card for magicians. The box has a silver foil seal. 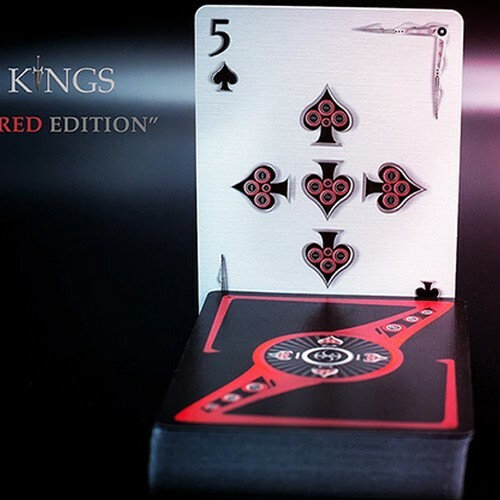 The overall style of this deck is unmistakable, yet still retains the overall feel of traditional playing cards. One close examination and you will appreciate all the thought that has gone into this amazing design. 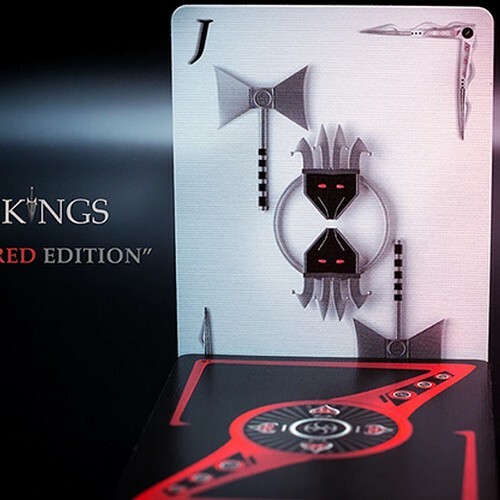 Whether you are a poker/game player, magician, or card artist/manipulator, this extremely unique and stylized deck is a MUST for your collection!